All the Exam Questions with Answer Key, for use through June 30, 2020. 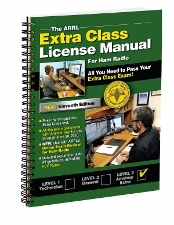 The ARRL Extra Class License Manual. Kindle Edition. ARRL's Extra Q & A. Includes the entire question pool with brief explanations.